Indibar Mohanty is an Insurance Agent. He earns a decent amount, and though not very rich, has ensured his only child never struggled due to a lack of money. Life changed for him when his son was diagnosed with a liver failure due to a rare condition. Now, he is struggling to afford the treatment that can save his only child’s life. It began with a Jaundice last November. Last year, when 10-year-old Arindam feel very ill, the yellowish eyes and all his symptoms clearly indicated he had developed Jaundice. The local doctor’s treatment, though had no effect on the child’s condition. Scared, the parents rushed to a hospital. After the tests, the doctors confirmed he needed specialized care, and referred him to a bigger hospital that could provide him the same. The parents then started going from hospital to hospital, till the diagnosis was confirmed. 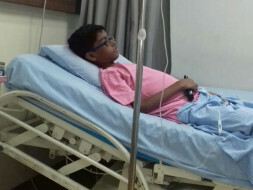 Arindam was diagnosed with Wilson’s Disease. Little Arindam was diagnosed with Wilson’s Disease, a rare genetic condition that mainly attacks the liver. Due to this, his liver has been seriously damaged, and the only way to save him is with a liver transplant. The boy’s liver is failing everyday, and will not hold on for long. The doctors have recommended an urgent liver transplant. “My only child, at 10 was fighting what could kill him, and I had to watch helplessly. My child is eagerly waiting to go back to school, because he is sure his father can save him from anything. There is a way, just one to save him, and I cannot afford it,” It breaks Indibar to even think of it. The father needs your help to save his only child. Indibar has drawn down his savings, and has borrowed large sums on interest. He has spent Rs. 10 Lakh already on travelling to different cities for confirming the rare condition, and for medication, tests and preliminary treatment. He is completely out of means to save his son. 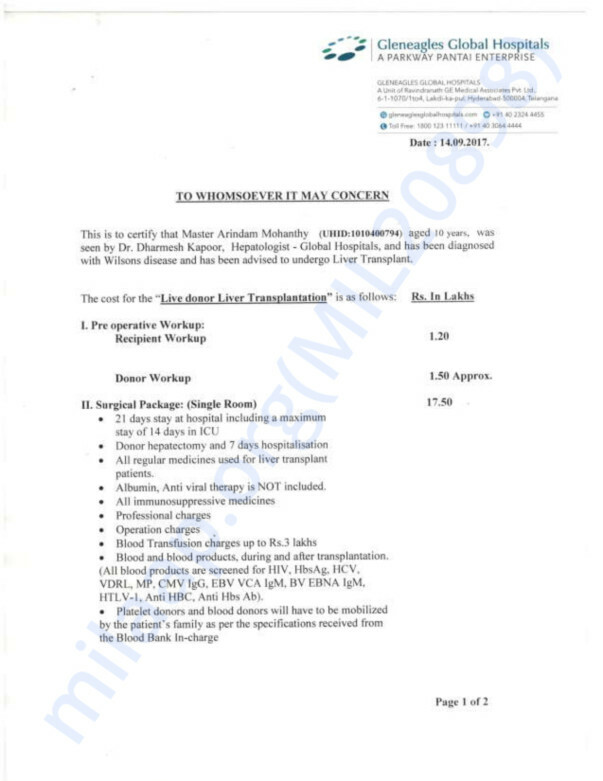 The transplant would cost Rs. 20 Lakh, an amount too big for any individual to arrange within a limited time. 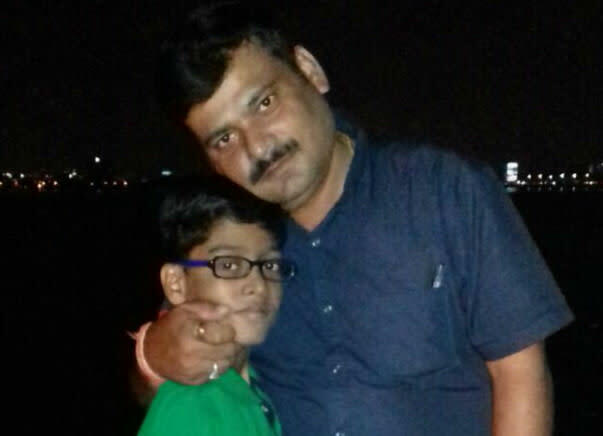 Drowning in debt, Indibar still has a chance keep his promise as a father and save him with a little support from all of us. Arindam was admitted in the hospital from quite a long time but he was recently discharged from the hospital last Friday. He has been called upon by the doctors again on 25th May. Doctors have planned a few tests for him as he has developed some Neurological problems. He is acquired eating disorders and other day to day complications. The doctors will decide the future course of action based the test reports. Thank you so much for the support which you have shown towards us, we shall keep you all posted on Arindam's health.